A former Military Administrator in Gombe and Ekiti States, has died after a brief illness at the age of 60 on Saturday, May 26th, 2017. 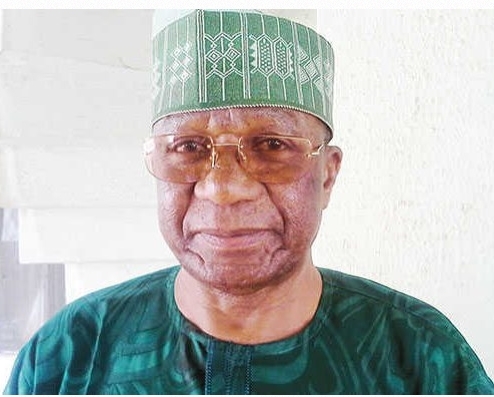 Former Military Administrator of Ekiti and Gombe States, Col. Mohammed Inuwa Bawa (rtd) has died at the age of 67. The former intelligence officer and governorship aspirant in his home state of Kebbi, died on Friday due to complications from a surgery he had in Jos, Plateau State. Barrister Aliyu Musa Yawuri, cousin of the deceased said the late Bawa had suffered from typhoid which affected his intestine and warranted surgery. Yawuri said the deceased had died at FOMAS hospital at Millionaires Quarters in Jos and is survived by one wife and eight children. Ekiti State Governor, Ayodele Fayose, has reacted to the death of Bawa, and described the passing as shocking and a great loss to the people of the state. The governor in a statement issued by his Chief Press Secretary, Idowu Adelusi, in Ado-Ekiti on Friday, said the news came at a time the state just finished mourning the late military governor of the old Western Region, Gen. Adeyinka Adebayo (Retd.). Fayose said, “Bawa came to Ekiti at a time we needed a man like him for the take-off of the state and despite the odds he met on ground as the first Military Administrator of the state, he practically squeezed water out of stone to lay a solid foundation for Ekiti. “The late Colonel Inuwa Bawa braved the odds as the pioneer governor of our dear state to lay a very solid foundation on which others have been building. “It is an understatement to say he worked assiduously for the progress of our state, he did work tirelessly for our state and its take-off.